PISCATAWAY, New Jersey (WABC) -- The Scarlet Knights improved to 3-4, and 2-2 in Big Ten conference play Saturday by defeating Purdue 14-12. The crowd at High Point Solution Stadium was treated to the first back-to-back conference wins since joining the league in 2014. Purdue went off at 9 1/2 point favorites on the road, but Rutgers once again overcame the odds by putting in a win focused on their defensive play. Highlighted by stopping a two-point conversion with 25 seconds remaining in the 4th quarter. Offensively, Rutgers had a big 74 yard run by Gus Edwards. The drive was only two plays and 80 yards long to give the Scarlet Knights an early 7-0 lead. The defense locked it down and held Purdue to three points by halftime. Midway through the 3rd quarter, Giovanni Rescigno connected on a 35 yard TD pass to Raheem Blackshear, giving the Scarlet Knights a 14-3 lead. The defense once again came up big with its second interception of the game by Damon Hayes, stopping the Boilermakers drive and eating up the clock in the third quarter. 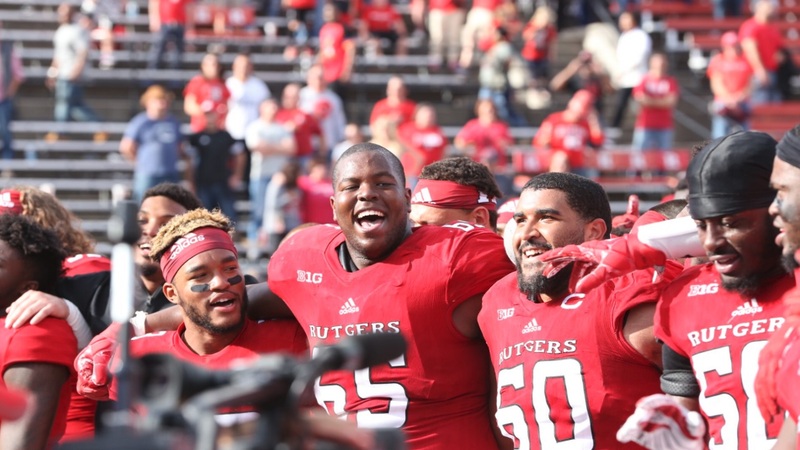 Purdue would score with 25 seconds to play, but the stop on the two point conversion solidified Rutgers victory on Saturday. After the game, head coach Chris Ash said; "This is a first, being here with back to back victories. It's a good feeling and I'm really excited about our players." Coach Ash added, "We didn't play a great game, but we made the plays we needed to on defense and special teams to win the game." Looking ahead, to be bowl eligible you must have seven wins, which is a tall order at this point. However, the team is headed in the right direction in terms of future recruiting with wins like the one on Saturday. Performances like that are indicative of the positive strides the football program has made since hitting the restart button following the 2015 season. Next week the Scarlet Knights take on Michigan in Ann Arbor at 12 p.m. In addition to that, there is a scheduling change for Rutgers on November 4th vs. Maryland. Originally scheduled to be played at Yankee Stadium, the game has been moved to High Point Solution Stadium in Piscataway due to the Yankees post-season run.